AVTECH Software (AVTECH), a private corporation founded in 1988, is a computer hardware and software developer and manufacturer. 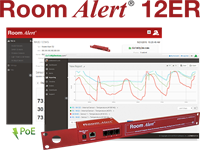 Our Room Alert ® products monitor computer rooms, data centers and other facilities for conditions such as temperature, humidity, power, flood / water leakage, smoke / fire, air flow, room entry, motion, cameras and more. 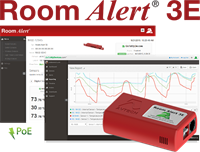 Alerting, logging and graphing are standard for all models. 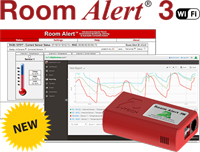 Device ManageR ™ is AVTECH’s ‘IT & Facilities Environment Monitoring’ software. 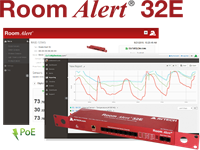 Device ManageR runs as a Windows Service and will automatically discover devices across the network, log and graph sensor data, alert users when environmental events occur or thresholds are passed, and allows reporting, auto response, and more. Automatic corrective actions resolve issues for a lights out response, allowing ‘Disaster Prevention’ instead of ‘Disaster Recovery’. 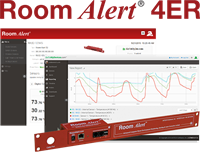 AVTECH’s GoToMyDevices.com ™ service with cloud monitoring allows users to manage Room Alert monitors through the cloud. This powerful service allows access from any mobile device over the web with the same user experience device to device. GoToMyDevices will monitor, alert, log, graph, map, report and protect.